The purpose of this organization shall be to implement mission programs and activities to fulfill the purpose of the organization, by providing a training ground for future Christian service to the WMS and the A M E Church. Study the Bible, the AME church, WMS and the YPD. 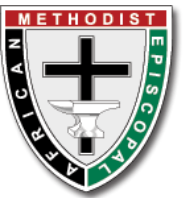 To conduct and Participate in workshops on Christian social Relations, family life, morals, and leadership roles in the AME church and community. Young Peoples Division meets every 4th Sunday after church.